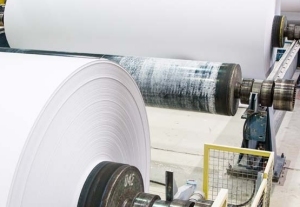 April 2, 2019 - UPM announced plans to permanently close paper machine 10 at UPM Plattling, Germany, reducing the annual capacity of coated mechanical paper in Europe by approximately 155,000 tons. Paper production on paper machines 1 and 11 is planned to continue at the mill site. In total 160 positions would be affected by the machine closure, and the employee consultation process will start in the course of April in line with local legislation, UPM said. The machine is planned to be closed after the consultation process has been finalized, UPM added. UPM Plattling mill has the capacity to produce 785,000 tons per year of coated and uncoated magazine papers (LWC, SC). The mill employs 590 people.